The CAIR Observatory is a participatory open-source online research center developed to investigate the foreign funding, foreign direction and domestic political influence operations of the Council on American-Islamic Relations (CAIR) in the United States of America. This site documents many questionable actions on the part of the Council on American-Islamic relations (CAIR), but the unifying concept is that CAIR is acting as a foreign agent. The Foreign Agents Registration Act (FARA) requires any agent of a foreign principal- including any foreign states, political parties, corporations, non-governmental organizations and individuals- to register with the U.S. government as a foreign agent. The initial result of our ongoing investigation is “CAIR and the Foreign Agents Registration Act”, an analysis of public-source evidence dating from the foundation of the organization in 1994 through the present day. 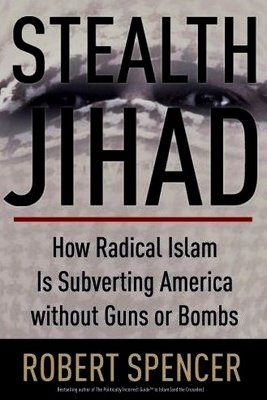 The analysis is fully referenced with links to documents that are almost exclusively hosted or mirrored within the CAIR Observatory site itself, guaranteeing their fidelity and permanence. 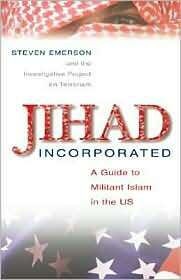 It will continue to grow over time as new CAIR activities as an unregistered foreign agent are discovered and documented. An American entity engaged in such activities is required to register under FARA. Indeed thousands of American entities have registered under FARA and continued to operate legally, but CAIR has operated in this capacity since its founding in 1994 and has failed to properly identify itself to the Department of Justice and the American public. Educate yourself about the Foreign Agents Registration Act (FARA). Study a comprehensive collection of CAIR’s publicly available financial records. View our archive of CAIR Action Alerts which includes thousands of entries sent to the CAIR email list between September 6, 2001 and February 13, 2007. Explore the “Categories” column on the right. You will find the documents underlying the 3 main FARA violation categories (FF, MC, IO) sorted by Country, Individual and Organization to round out the multi-dimensional view of CAIR’s impact on the American political landscape. In addition we maintain chronological categories archiving CAIR’s Action Alerts, Chapters, Financial Records, Fundraising Banquets, Membership Numbers, Real Estate Records, and Statements About Foreign Donations. Each document has a “post date” that matches the date associated with the document itself (or the closest approximation when the exact date is not known). Clicking on any category will bring up a chronological list (newest to oldest) of that document type. Visit the Archives for a list of all of our diverse documents and you can literally follow all aspects of the history of CAIR as it unfolded in chronological order. 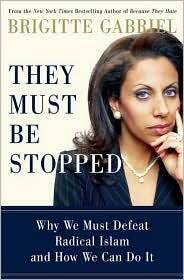 Have internet access, a little spare time, and an interest in investigating the Muslim Brotherhood’s activities in America? Browse our Open Topics and you can make a contribution to our research. 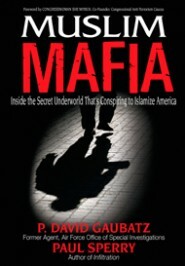 Our goal is to build a model for researching and compiling evidence of illegal behavior by Muslim Brotherhood front organizations or organizations operating as foreign agents for the Organization of the Islamic Conference (OIC) and its member states in the United States. We encourage every concerned citizen to assist in the compilation and analysis of open source evidence. We welcome visitors to contact us with links, information and suggestions to expand the scope of this website.